March 22-23, 2019 2036 Pacific Ave In Forest Grove OR. If you love 501 this is the tournament for you. Friday night we’ll have the Blind Draw event which is always a crowd favorite. 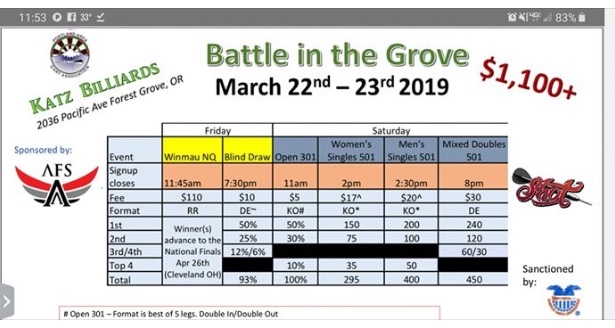 Saturday, there will be open and women singles and mixed doubles action in 501. Come join us at one of the best Steel Tip Dart events in the Northwest!